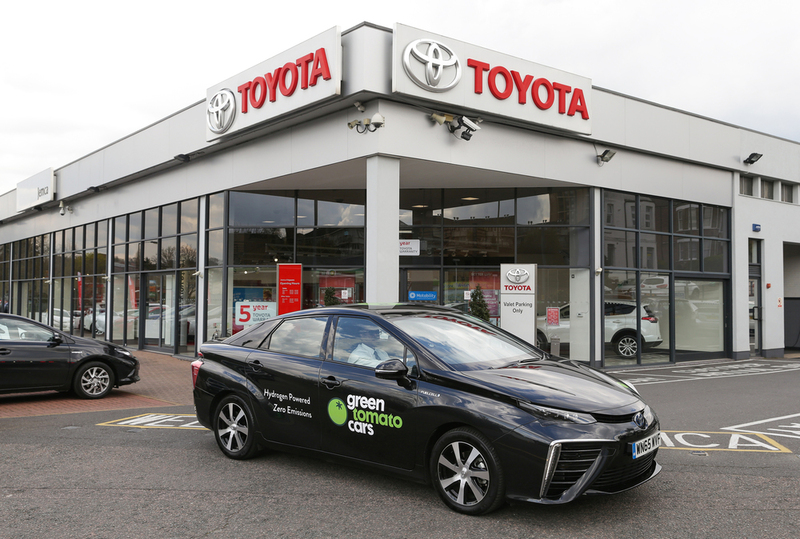 The first Toyota Mirai in the UK to be booked in for a routine service has given technicians the opportunity to put their specialist hydrogen fuel cell training into practice. The team at the Jemca’s Edgware workshop in north west London were well-prepared for the Mirai’s arrival on Britain’s roads, with three of their staff undergoing four days of intensive training at Toyota’s European technical facility. There they learned about the essential chemistry of the fuel cell system and the fine detail of the car’s servicing, repair and refuelling procedures. Despite the technical nature of the car, Toyota says the Mirai’s servicing needs are comparatively straightforward. The job was accomplished by one person within a one-hour time slot. In addition to the usual checks on brakes, fluids and tyres, the Mirai also calls for inspection of the fuel cell’s cooling system, hydrogen sensor and hydrogen fuel supply system. The only additional equipment required is a hydrogen leak detector and a diluted hydrogen spray, used to check the operation of the sensors. As an early indication of Mirai’s built-in strength and reliability, the service revealed no problems and the vehicle was given a clean bill of health. The car has so far clocked up almost 10,000 miles of zero-emissions driving in and around London in its duties as a private hire vehicle. The Toyota Mirai is priced at £66,000 OTR.